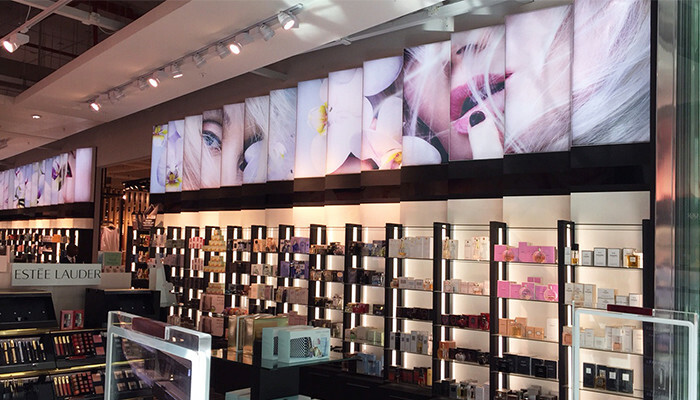 Retailers the world over are choosing to abandon, or in certain instances complement, conventional ‘poster-style’ advertising methods in favour of the LED light box. There is overwhelming evidence pointing to the fact that these highly visible illuminated advertising boards are able to draw in significantly more prospective buyers than some of the alternatives. Studies have shown that when the subconscious is confronted with too much of one thing, even a good thing, it will fall victim to repetition blindness. Essentially, the consumer’s subconscious needs to be helped to make choices, so retailers whose products or promotions stand out from the rest will enjoy a significant increase in sales over competitors. This is where LED light boxes come in. By their very nature, light boxes stand out, attracting more prospective purchasers to the product encased therein. This leaves little doubt that light boxes affect consumers’ purchasing decisions in a positive way. LED light boxes are versatile. They can be wall mounted, floor mounted, hung from a ceiling and used both inside and out. Maximising visibility of a business, product or promotion, light boxes can be used effectively at point of sale promotions in the retail industry. A strategically placed, eye-catching, discreet slim line light box displaying its illuminated message can be the ideal sales ‘closer’. Responsible energy consumption and carbon footprint monitoring have become integral to daily life, and business. Highly energy efficient, LEDs (light-emitting diodes) use only a fraction of the electricity of fluorescent lighting. As light boxes are utilised for long periods at a time, it is important to note that LEDs last between 35 and 50 000 hours, compared to the 10 to 15 000-hour life span of the fluorescent light bulb. LEDs can also be used in conjunction with a solar system. A number of LED light boxes were installed at Truworths in Canal Walk to illuminate their new range. Another example of the successful use of light boxes is Truworths Elements, also in Canal Walk. Clarion Retail manufactured and installed 35 bespoke white powder-coated light boxes, creating a highly visual first impression to consumers. A well established integrated branding solutions company, the Clarion Group provides customers with a full spectrum of services, from design and sampling to production and printing. For more information on how the Clarion Group can help your retail brand, visit www.clarion.co.za.